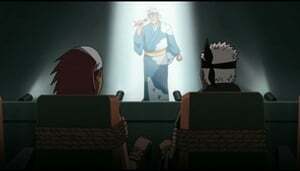 Tsunade talks to a council and informs about the Fourth Shinobi World War and warns others not to underestimate Akatsuki. Whereas in Land of Lightning a council is held about war, as Kisame spies on them. B paying no attention was bought in writing raps in his rhyme book. Later, Shizune informs Tsunade about Naruto's disappearance for which she ordered some shinobi to search for him. Naruto returns to Ramen Ichiraku. Two Konoha shinobi ask for his autograph, but he doesn't know how to respond. Three days later the Kage meet again to discuss how they should start pooling their resources. As the first matter of business, Naruto and Killer B are to be given constant protection. Tsunade objects since they would both be invaluable in the war with Akatsuki, but is forced to agree. 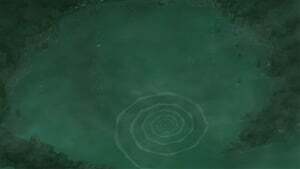 Tsunade meets with A alone and asks him for a favour to let B teach Naruto how to control Nine-Tails. 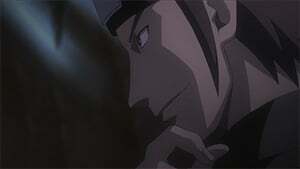 A says that the place where he is sending B and Naruto isn't just a hideout but a training ground. Tsunade returns to the village and informs Naruto that he's going on an S-rank misson to an island located in the Land of Lightning. Tsunade sends out Naruto under the guise of a top-secret mission to keep him hidden away from the Akatsuki. Unfortunately, Naruto, Yamato, Gai, and Aoba are stuck at the pier due to a report of a monster attacking ships. 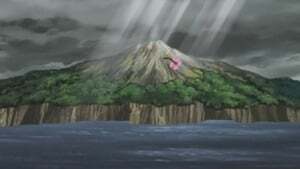 During their voyage, Naruto, Yamato, Gai, and Aoba stop at an island to recover from severe seasickness. 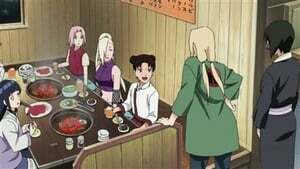 There, they unexpectedly meet up with Sakura, Ino, and Choji, who are on an assignment to gather medical herbs for Tsunade. As they continue their voyage towards the Land of Lightning, Naruto, Aoba, Guy and Yamato sail through a thick fog. To pass the time, Yamato tells Aoba and Naruto some ghost stories (much to Naruto's dislike). On their way to the Land of Lightning, Naruto's ship gets caught in a storm. When the crew gets out of it, they encounter a savage group of pirates, who attempt to sink their boat and capture them. 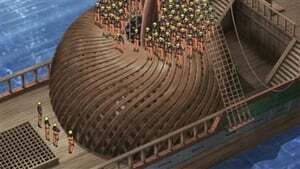 Yamato shields the boat with a Wood technique and they escape underwater in a sub-like contraption, which promptly falls apart. They wash up in an underwater cavern underneath the island the pirates had taken over some time ago. The residents of the island had taken refuge in the caves until they all died. Naruto swears to avenge them all. 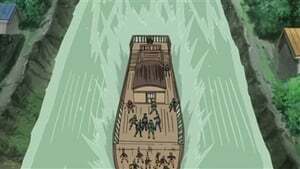 With a clever plan, Naruto and the ship are rocketed out of the island's dormant volcano top using underground hot springs and he successfully avenges the island folk by defeating the pirates. Going after Guy, who was whisked away by a giant bird, Naruto, Yamato, and Aoba arrive on an island where they spot a young woman. Making a stop at a nearby port to stock up on supplies, Naruto buys a rare mushroom from a vegetable merchant. 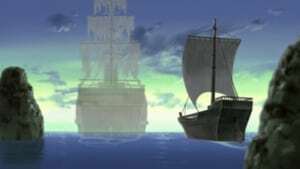 But soon after they set sail for their next destination, Naruto and the other crewmembers find their ship infested with poisonous mushrooms. 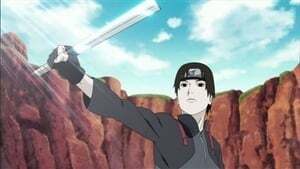 The ship is caught in a storm and Naruto uses his shadow clones to protect the ship.After the storm, Naruto wakes up and a quarrel begins between Naruto and his Shadow clones. Soon his shadow clones revolt and take control of the ship and the crew is forced to land on a nearby island. Naruto is taken hostage by the shadow clones and they put forth their demands to him. 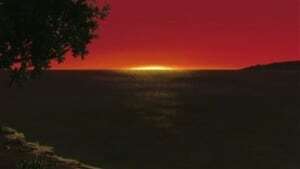 Naruto is saved by Yamato and the others only to find that it was a dream. It was caused when a Shadow clone was released and the memories of it returned to Naruto. 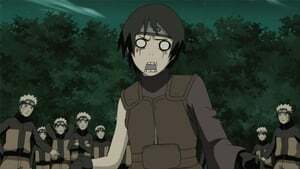 Naruto then realizes the worth of his clones and releases them. Shikamaru begins to feel the pressure of shouldering the lives of his friends in the upcoming Fourth Shinobi World War. To help ease his mind, Shikaku sends his son along with Tenten on a mission to Mokuzu Island to replenish supplies. Hinata’s father Hiashi summons the Hyuga clan to discuss the role they will be playing in the upcoming Fourth Great Ninja War. Naruto finds an imposter that has been building his reputation by attempting to steal from other people while his friend is also attempting to gain a reputation by "beating" the imposter up so he builds his reputation even further and become a ninja. Naruto meets two kunoichi ninja named Shizuka and Tokiwa from the Nadeshiko village who are seeking the student of Jiraiya. While talking with his students, Shino talks about how he and his team got together and became more close as friends and teammates. The story switches to Shino's flashback during the first part of Naruto. They are on a mission assigned by Kurenai in which a Jonin assassin from a neighboring village. 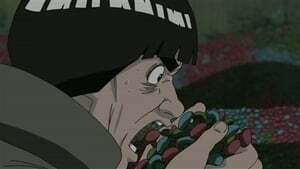 Shino gets defeated because of weak taijutsu and descends into depression. He even reveals he was going to abandon the team that helped him because he didn't think he was useful to them. But after his friends get in trouble with the rouge Shino comes back and defeats the rouge. 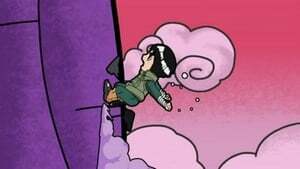 Tenten remembers when she was little and how she really wanted to become like the legendary Tsunade. She finds out through hard training that she won't be capable of the strength Tsunade has. She also finds out that she won't be suitable to be a medical ninja for her poor chakra control. But at last, she discovers that she has the ability to summon ninja tools, thus creating her own style of fighting. Given the day off, Sai spends it strolling the village and drawing. 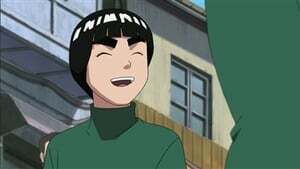 He initially encounters three children that he at first finds it difficult to interact with but later realises that two of them remind him of his team-mates Naruto and Sakura. He has several flashbacks of their time together and the bonds they share. In the end he uses the doors of a destroyed house and paints a mural of Team 7 along with Sasuke holding hands. 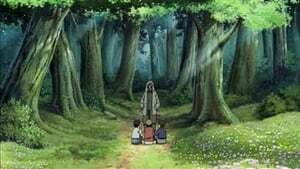 As Team Asuma considers the impending war, they encounter Kosuke Maruboshi who reminds them of the time that they rescued him while they were still genin. With this, Kosuke retells the tale of the time their fathers saved him during the Invasion of Konoha with their Formation Ino–Shika–Chō. Somewhat rattled by this story, Kosuke reminds them that great shinobi weren't made in a day. As the team contemplates everything, they decide to perfect their own formation, insisting that they'd be fine because they were not alone. Kiba trains hard to catch up to Naruto, who is now hailed as the hero of the Leaf Village, but with little success. 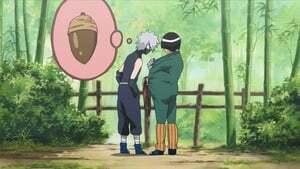 Feeling desperate, Kiba asks Kakashi if he could train him. Episode 241 - Kakashi, My Eternal Rival! 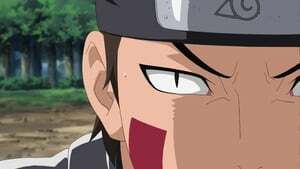 As the Leaf ninja’s ship heads toward their final stop for supplies before entering the Land of Lightning, Yamato warns the crew to stay alert for enemies who could mimic both the appearance and chakra of their closest allies. During his final stop for supplies on an island in the Land of Water, Naruto runs into Akatsuchi and Kurotsuchi of the Hidden Stone, who are on an assignment to deliver a letter from the Tsuchikage addressed to the Mizukage.